The Vintage Wine Club at NW Food and Gifts is a ground-breaking wine club that is sure to enhance and invigorate your wine adventures with us! 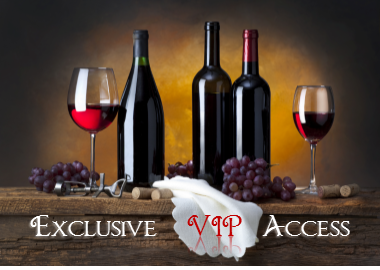 It provides a fresh opportunity for you to enjoy the finest quality wines from our wide array of vintages and wineries from the Pacific Northwest, while receiving exclusive benefits and perks that are available only to wine club members. Enjoy 3 shipments per year of exquisite and exceptional vintages from hundreds of labels available from the Northwest! Your shipment of 6 or 12 bottles will be available in February, May and November of each year. No membership fee and you can cancel anytime after your first shipment! 5% discount on all wine purchases! Your choice of picking up your wine from our store or having it shipped to an address. Informational sheets about your wines will be included with every shipment. Special invitations to “Member’s Only” events and gatherings! Private Concierge services for the Willamette Valley! Advance updates and opportunities to purchase releases of limited edition vintages! Monthly complimentary tasting for you and up to 2 guests! Only $50 more per shipment. Receive all of the benefits included with a Steward’s Selection membership! 10% discount on all wine purchases! Your personal choice of wines in your shipment selected from hundreds of labels available to our store and not available to Stewards Selection. A personal call before each shipment to help you select your wines! First access and opportunity to purchase limited production and library releases available to us! ** Prices do not reflect shipping or VIP Access charges. An invoice will be emailed one week prior to each shipment. Prices vary depending on varietal choices and vintages. Finally, if you refer 3 of your friends or family to become members of our Vintage Wine Club, we will waive the VIP $50 shipment fee for a full year!